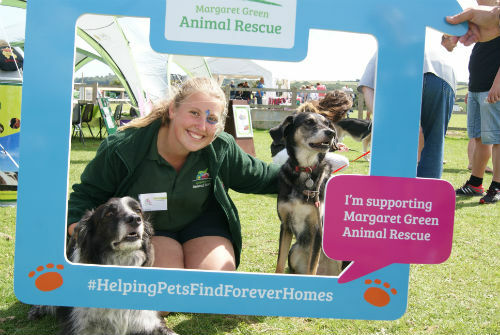 At Margaret Green Animal Rescue (MGAR) we have taken the decision to postpone our Family Fun Day and Novelty Dog Show which was due to be held on August 5th, until the very popular Country Fayre on Sunday September 23rd. We've got a fun day out lined up for the whole family - especially the dog! You might ask, what constitutes a family fun day here at Church Knowle Rehoming and Rescue Centre, when it is always fun to visit. Well, it's because, this year, in addition to our much loved and very popular dog show, we also have a rather exciting fun packed day involving all our animals. And of course there is our rather wonderful Novelty Dog Show, where we have classes all day in two rings, starting at 12:00, one of our classes is a Buckham Fair Qualifier which is open to all rescue dogs, and our favourite classes of course the best MGAR Male and the best MGAR Female, they are all winners in our eyes as they are enjoying their happy forever homes. We will have our usual fun activities for the dogs, with ball bobbing, lucky dip, have a go agility, and this year an obedience demo incorporating Rally by Wessex Dog Training. The fun all starts at our Church Knowle Rehoming and Visitor Centre from 11am-4pm.